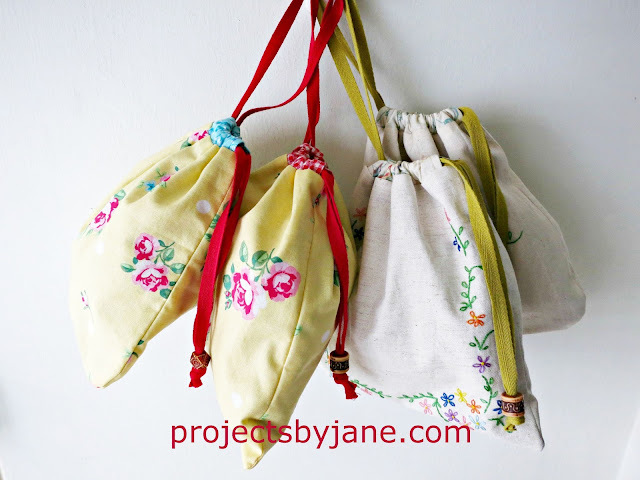 The Treasure Pouch Pattern was another easy beginner pattern for people who have never made any bags before. 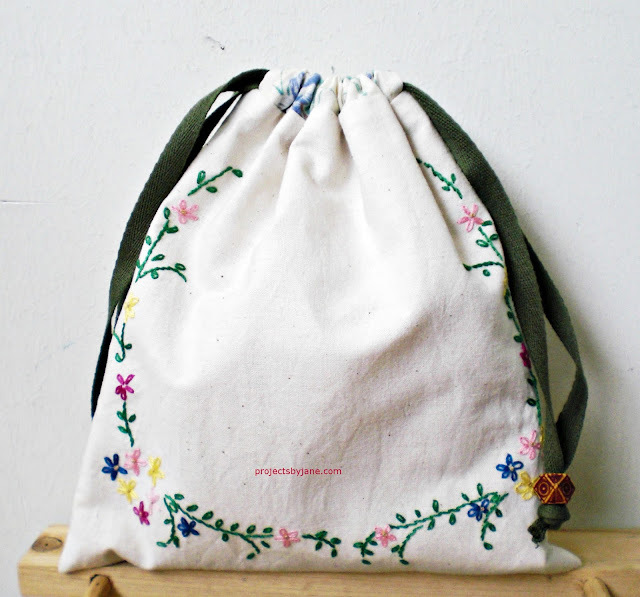 I added some embroidery instructions but I think most people who buy this pattern aren't into the embroidery. I recommend the Treasure Pouch Pattern as one of the first patterns a newbie needs to learn before venturing onto zippers and gussets. 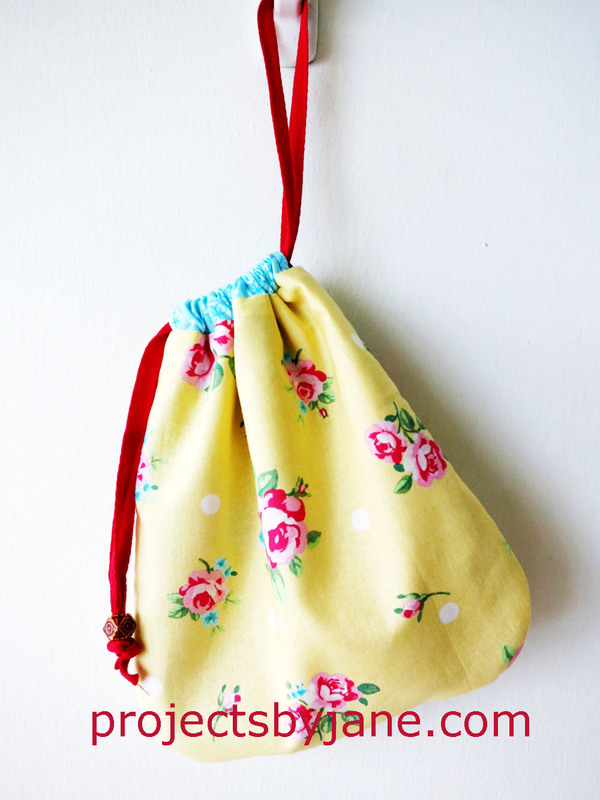 I have made many different sizes of this pouch for sale at the craft markets. Surprisingly for something so simple, it is very popular. The yellow fabric with roses is a Lecien fabric print.